This episode is my favorite of the series so far. There’s so much going on between the characters, and the problems aren’t resolved by simply paying some jazz together. 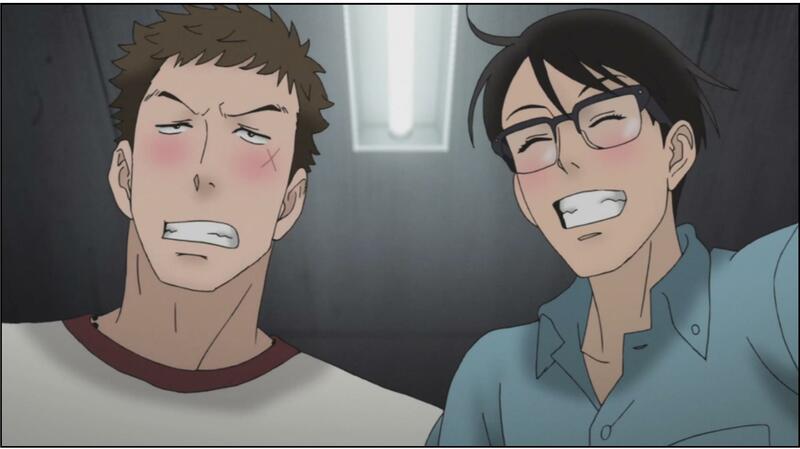 I feel like this episode was everything I’d been expecting out of Sakamichi but not quite getting. Yippee! Okay, okay, okay. I have a confession to make. Sakamichi is starting to lose some of its luster for me. 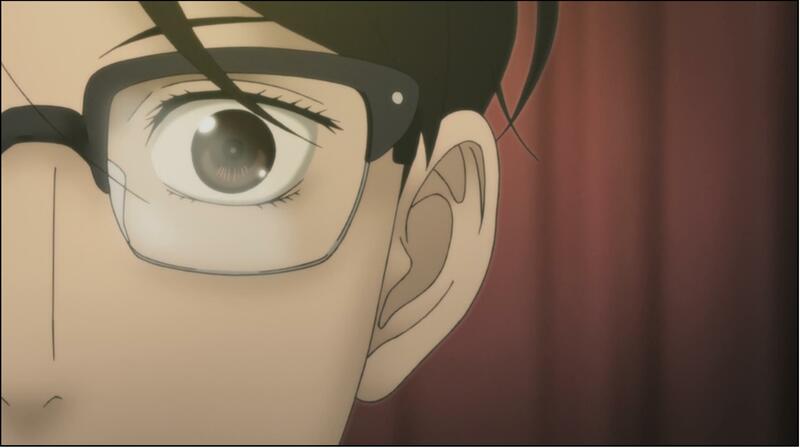 Well, I took a little break to do exams, and I surely wasn’t expecting to come back and find that such massive developments had happened in the Sakamichi-verse while I was gone! For now I’m just going to touch on the highlights of Episodes 03 and 04, and I’ll be back to regular reviewing for Episode 05. 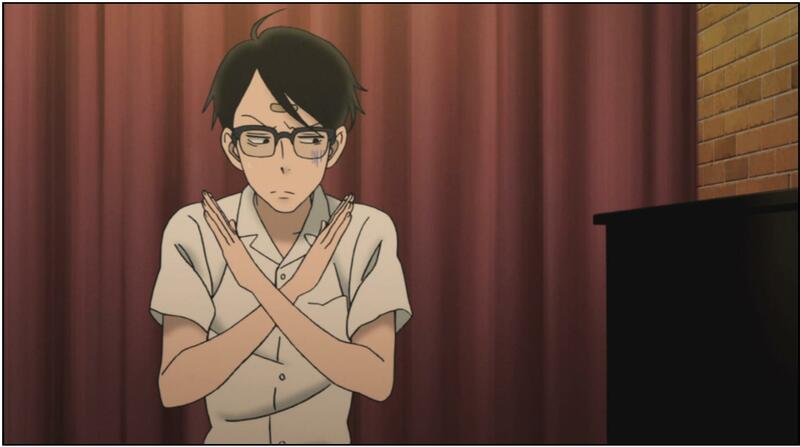 Sakamichi no Apollon 02 – Cockblocking? Altogether another fantastic episode with a superior first half, but I have some doubts about brining religion into a series that already has such a full plate. Also, I couldn’t manage to figure out what’s going on in this love triangle – who likes who, exactly? You should go watch this. Yes, that’s right. I’m talking to *you*. 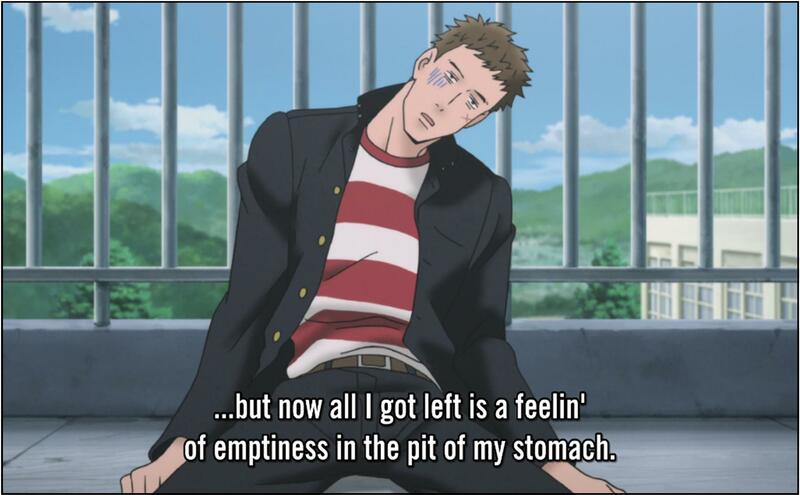 Put down whatever else you thought you’d rather be doing and go watch Sakamichi no Apollon. Right now.